The Arch Keepsake Urn is hand cast and made in solid brass with a beautiful glazed pattern around the urn. It is presented in a quality velvet presentation box. 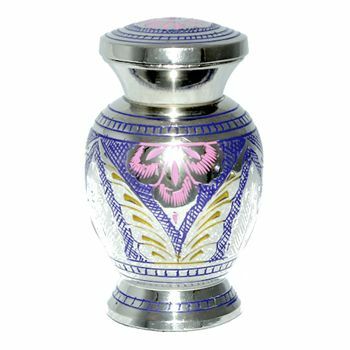 This urn measures 3" tall and will hold a small amount of your loved ones ashes. The ashes are placed into the urn through the top which is secured by a threaded lid. If you do not feel comfortable shopping on-line please do not hesitate to telephone us with your order 0800 5999194.